Wonderful capture of this Meadowlark. We have the Eastern Meadowlark where I live in Florida. Beautiful creature and you captured the gorgeous colors and texture. Very beautifully coloured bird !! Such a striking mix of colours in the feathers !! What a wonderful shot against that superb blue sky. Well done! One of my favorite birds, but sadly in decline where I live. 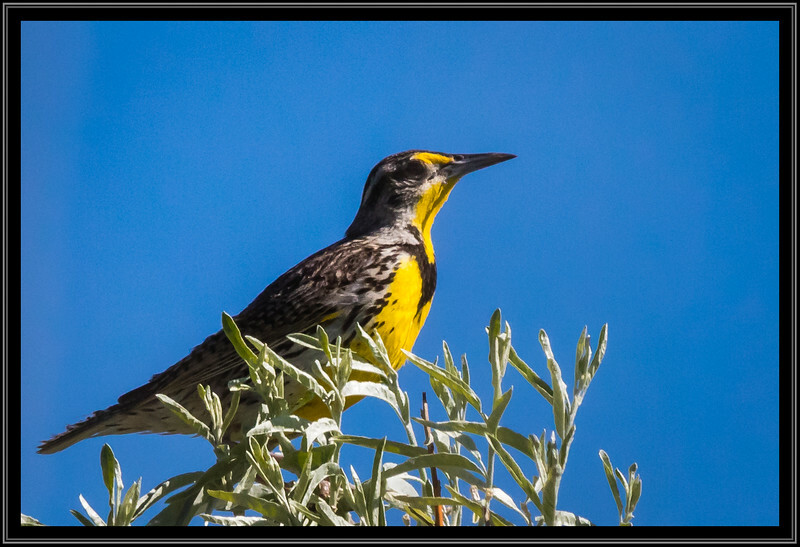 Terrific shot of the meadowlark! It has been some years since I've seen one.